The final two rosters for the ISA China Cup have been submitted, rounding out what should be a highly competitive event and exciting start to the New Year. While South Africa’s National Team is packed with big-name stars, Argentina will be fielding a roster of relative unknowns. If recent history has taught us anything, however, it’s that name recognition only carries a surfer so far. Take, for instance, Santiago Muñiz of Argentina, who will be competing in China. Early this year, his name wasn’t commonly known outside Latin American surfing circles. Then came the ISA World Surfing Games in Panama, where Muñiz announced himself to the entire international surfing community, winning an individual gold medal in the Open Men, competing against surfers with a lot more competitive experience. The ISA China Cup is the first of two events comprising the Hainan Wanning Riyue Bay International Surfing Festival Presented by Quiksilver, which will begin January 7 and run through January 10. The hope is that the two-event Festival will inspire the growth of a surf culture in China, a country with 1.4 billion people and 9,000-plus miles of coastline. The Festival is the work of the ISA and Womei Media, a Beijing sports and media organization that is exclusively representing the ISA’s commercial interests in China. Accompanying Muniz to China will be a team of athletes who are mostly in the position he found himself in last year: talented but seeking exposure. Leandro Usuna has competed for years on the WQS and has represented his country in ISA championship events in the past, while Marcelo Rodriguez and Santiago Di Pace have both experienced some domestic surfing success. All three will be hoping to shock the surfing world the way Muniz did earlier this year. Lucia Cosleto and Joela Jofre have both represented Argentina at ISA Surfing Championship events in years past and will be hoping to advance deep into the Open Women division in order to give their country a chance at reaching the podium. The South African team will be arriving in China with an altogether different team dynamic: a roster full of decorated, contest-savvy surfers, who will be focused on team gold. The National Team will be led by captain Greg Emslie, who spent over 10 years competing on the ASP World Tour and has won multiple domestic surfing titles. Brandon Jackson and Royden Bryson have both competed on and had success on the WQS, and have experience in ISA Surfing Championship competition as well. 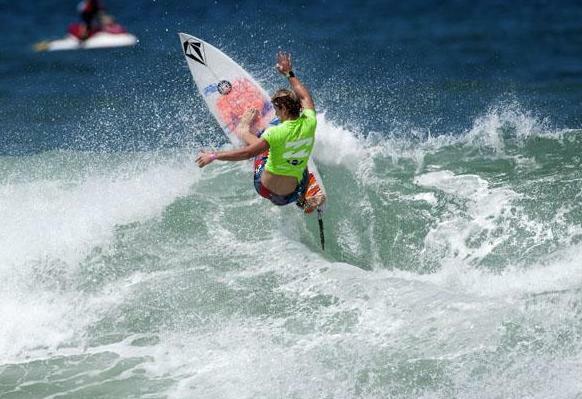 In 2009, Jackson finished 5th at the ISA World Surfing Games, while Bryson last competed in 2000. The final roster spot went to Dale Staples, who has been a fixture at ASP junior events, and will be turning 21 upon his arrival in China. The women appear equally as formidable, led by Nikita Robb, who finished 8th in the Open Women at the ISA World Surfing Games in 2011. Representing South Africa alongside Robb will be Sarah Baum, the top junior surfer in the country, who will be competing in the Open Women for the first time after strong results at the ISA World Junior Surfing Championship. Baum finished 3rd in the event in 2010. In addition to Argentina and South Africa, the other invited National Teams slated to contend for the ISA China Cup are Australia, Brazil, France, Peru, USA and Venezuela. The Hainan Wanning Riyue Bay International Surfing Festival Presented by Quiksilver begins on January 7 with the traditional ISA Opening Ceremony, which includes a Parade of the Nations and the Sands of the World Ceremony, to be held at the Le Meridian Hotel in the city of Wanning, Hainan Island, China. The International Surfing Association (ISA) is recognized by the International Olympic Committee as the World Governing Authority for Surfing. It was originally founded as the International Surfing Federation in 1964 and has been running Open Division World Championships since 1964, Junior World Championships since 1980, and Masters World Championships since 2007. The ISA also sanctions the World Kneeboard Titles and the Tandem Surfing World Title, and held the first stand-alone World Bodyboard Championship in 2011, and the first World Standup Paddle (SUP) and Paddleboard Championship will be held in 2012.